Mufti of Chad Republic Sheikh Mohammed al-Noor Mohammed al-Hilw has extolled Al-Azhar and the Egyptian Dar Al-Ifta for their hard efforts to combat, and defeat extremism. Interviewed by Al-Marjie (The Reference), al-Hilw highly appreciated Al-Azhar leading role providing education for Chadians, as well as the institution’s relentless work to correct the distorted image of Islam in the West, as well as fighting Islamophobia. He said that Muslims are about 85 percent of Chad’s population of 14 million people. They are very keen on remaining connected to the Holy Quran and the teachings and principles of moderate Islam, through organizing Quran memorization sessions for the young at home, being keen on studying Arabic and Sharia sciences, following Al-Azhar curricula. They also follow Sufism as a spiritual doctrine. Asked about regulating fatwa in Chad, al-Hilw said that it is achieved through adopting the Maliki school of jurisprudence, on which the nation’s Imams are trained. Most fatwas are based on the Maliki school. Fatwas are issued by authorized bodies, based on Jurisprudence of reality. According to al-Hilw, Chad’s Constitution recognizes Arabic as an official language; Learning the language in Chad is mainly self-help. Al-Hilw urged Arab and Muslim countries like Egypt and the Gulf states to help set up schools and institutes to promote teaching of Arabic in Chad. In the meantime, he highlighted the significant role by Egypt’s Dar Al-Ifta to counter radical groups and extremist thoughts. “It leads Muslims to the right path, with a stress on the fact that Islam is a religion of love that rejects dogmatism,” he said. Through several forums, Dar Al-Ifta has promoted the principles and teachings of Islam, turning them into a “tangible” reality for people to understand the “moderate religion”. Chad has suffered from extremist groups that deviated from the right path of Islam, “but the state, out of keenness to redress the "intellectual path, has confronted them,” al-Hilw said. Puku Haram is not far from Chad, but it has not managed to find a way into the country, the Mufti added. 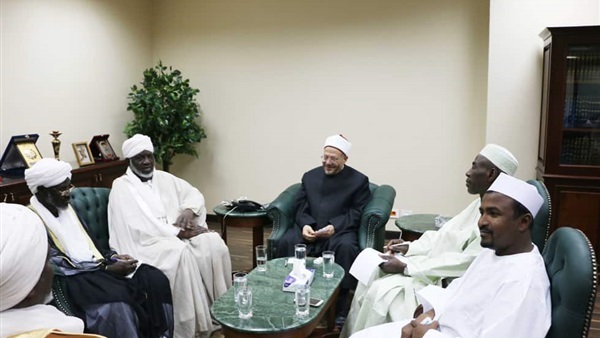 Training Chadian preachers and Imams is a major field of cooperation with Al-Azhar, Dar Al-Ifta, and the Egyptian Ministry of Awqaf (Religious Endowments), the Mufti said. Most of Chad’s preachers and Imams have been educated t Al-Azhar, Mecca of Islamic teaching, he said. The Mufti stressed the prime importance of enhancing awareness among youth through schools and scientific forums to counter unauthorized fatwas issued by unqualified Imams.